Since its inception in 1961, the Italian Chamber of Commerce of Ontario has been a facilitator of business, a seeker of investment, and a builder of commercial relationships. One of the main goals of the ICCO is to develop and create connections and business relationships between its Italian commercial partners and local companies and investors. Furthermore, the ICCO also aims at promoting the values of the Italian culture both in professional and social contexts. 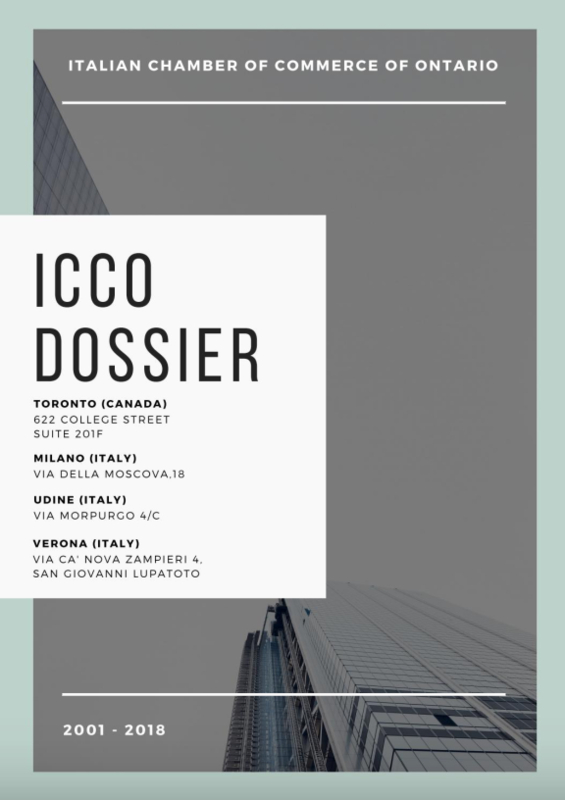 Among its many tasks, the ICCO works as a consultant for a number of local and regional governmental agencies in Canada and Italy, as well as in the field of commercial mediation. Knowledgeable in Canada’s growing market, the ICCO’s staff puts its services at the disposal of Italian companies that are seeking to expand in the local market, researching specific industrial sectors and arranging meetings with potential investors. This dossier aims to summarize just a few examples of the large contribution provided by the ICCO through the years. At the same time, we hope that an ever increasing number of business as well as start-up companies will choose Canada their place to grow or look at.